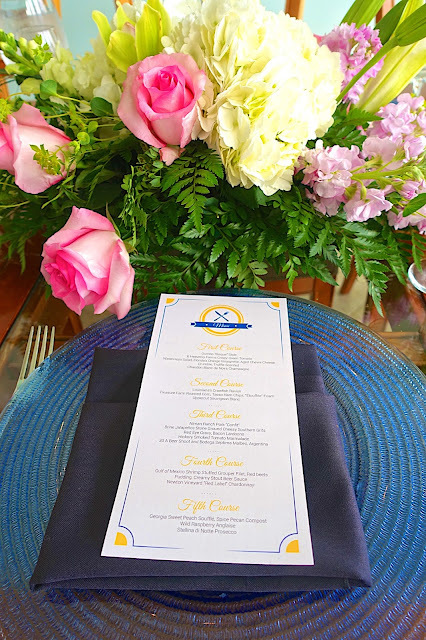 Last month I had the opportunity to take an amazing trip to the Sandestin Golf and Beach Resort in Florida with 7 of my favorite food bloggers. We had the BEST time! 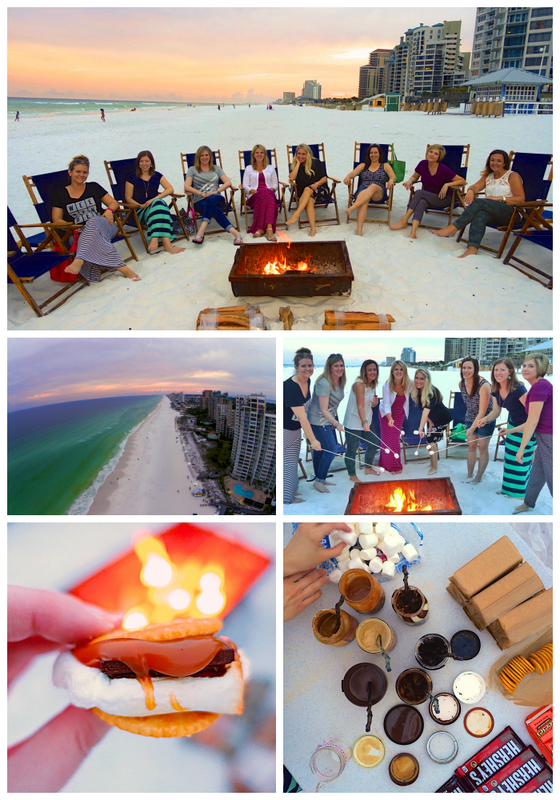 We made s'mores at a beach bonfire, ate, shopped, ate, went to the spa, ate, paddle boarded, oh, and ate! LOL! We stayed in the Lasata building in the Grand Sandestin on the Bayside of the resort. It was close to lots of shopping and restaurants. It was great! I was able to park my car and leave in the garage all weekend. Sandestin has a complementary shuttle service. You can track the shuttle on the Sandestin app. Very helpful! 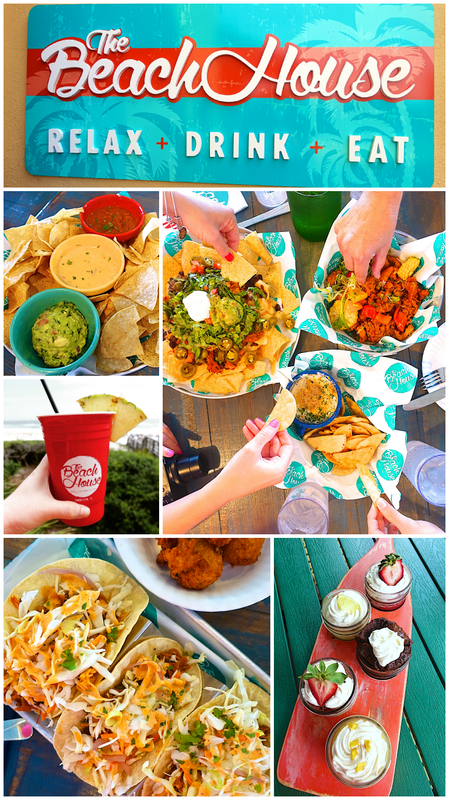 Today I am going to share everything we did and everywhere we ate in Sandestin. 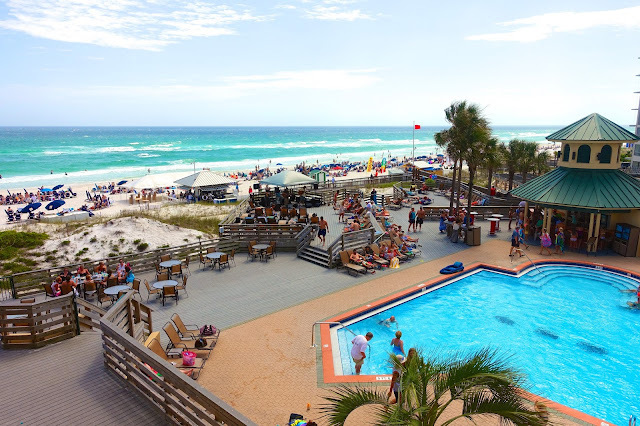 I am also going to give you a chance to win an awesome trip to Sandestin! You can use the PromoSimple widget at the end of the post to enter. Please click on the post if you are reading this in email or a RSS reader. You will need to enter directly from the blog post. We started the trip with a s'mores party and bonfire on the beach. Amanda is the queen of s'mores! She brought tons of great toppings. My favorite was Ritz Crackers, Salted Caramel, Dark Chocolate and Toasted Marshmallow. I also love a Ritz, Toasted Marshmallow and Butterfinger Cup. OMG! You must make s'mores on Ritz Crackers. You can't beat the sweet and salty combo! Breakfast the next morning was at The Sunset Bay Cafe. Everything was homemade and delicious. We got the Southern Fries - sidewinder fries topped with bacon, homemade gravy and cheese. I could have made a meal out of these fries. They were ridiculous! The Cinnamon Roll was topped with Homemade Orange Cream Cheese Frosting. Amazing! The Chicken and Waffles were huge and plenty to split with a friend. 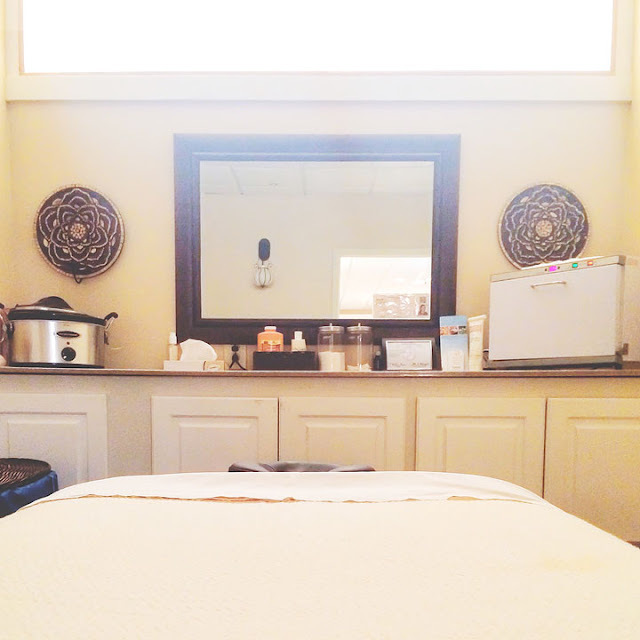 We rolled ourselves out of the restaurant and got massages at the Sandestin Spa. SO relaxing! 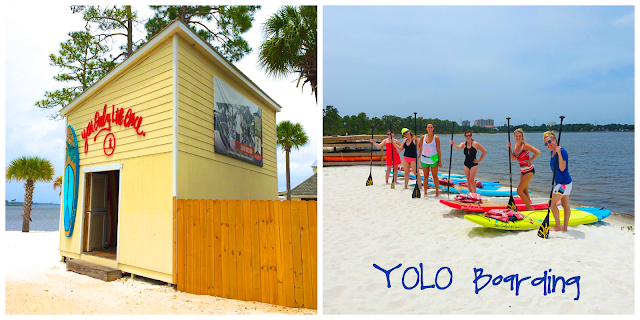 After the spa, most of the group learned how to YOLO Board. 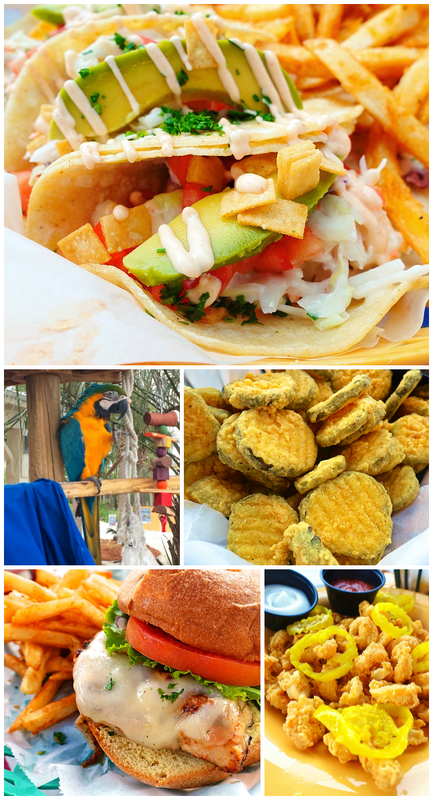 After working up an appetite paddle boarding, we ate lunch at The Marina Bar and Grill. It was right next door to the YOLO Boarding place. We got some fried pickles and calamari to start. Several people got the fish tacos - they looked beautiful. I got a chicken sandwich. It tasted great. I especially loved the fries! Dinner that night was a real treat. 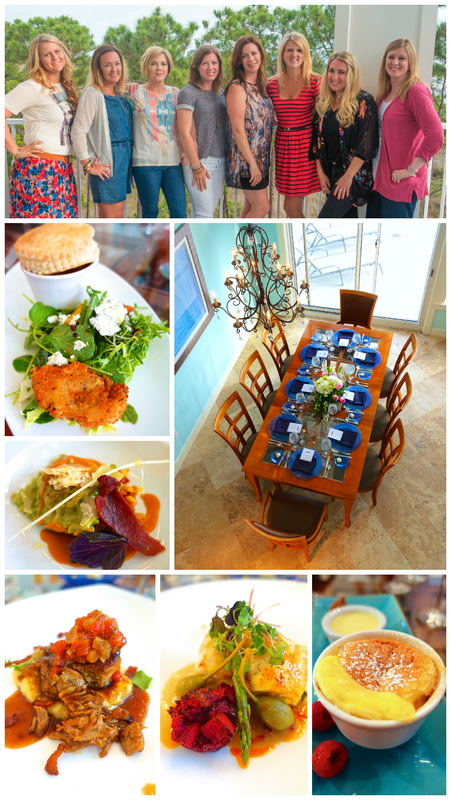 The Sandestin Executive Chef, Javier Rosa, cooked us an amazing 5-course meal right inside our condo. Javier previously worked for the Ritz Carlton and the Miami Heat. He recently came to Sandestin to be the resorts Executive Chef. We were all super excited about the meal! The food was out of this world delicious! All of the food was amazing. My favorites were the Pork and dessert. It was a real treat having the chef cook right in our condo. 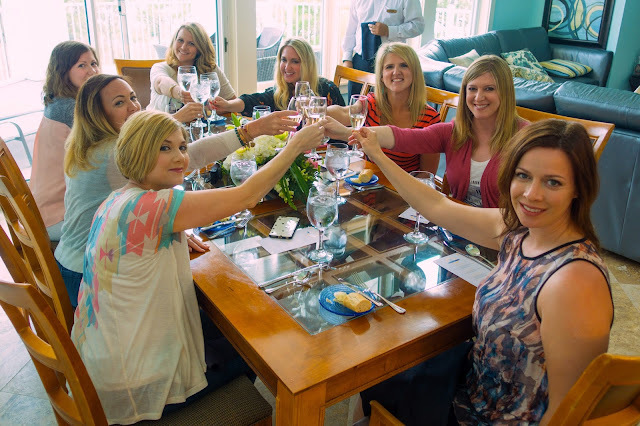 After working up an appetite shopping, we headed to lunch at The Beach House. The Beach House is located right next door to the Hilton Sandestin. 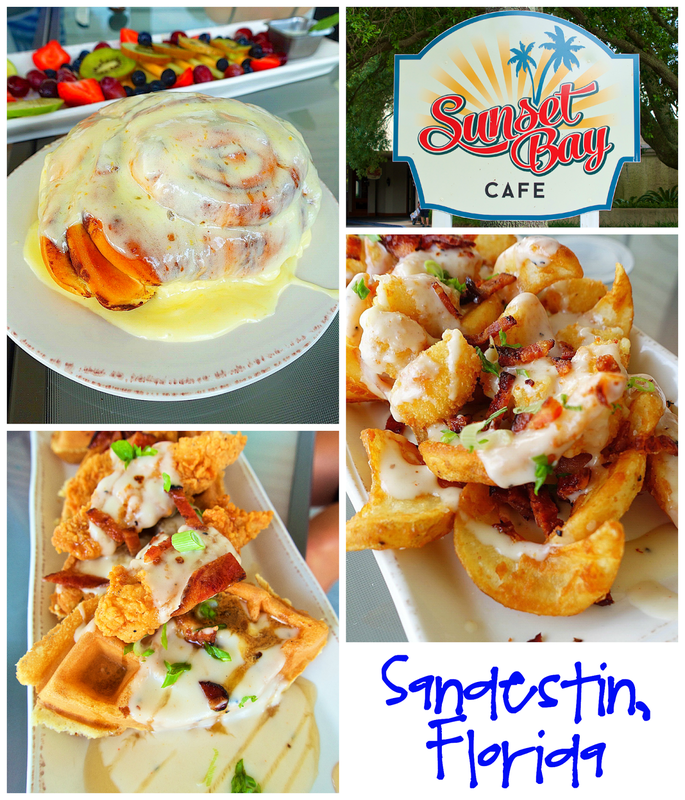 If you are familiar with Sandestin, The Beach House is located in the old Elephant Walk location. You don't have to be a guest at the resort to eat here. Just tell the guards you are eating at The Beach House, and you can get into the resort to eat some fabulous food. Everyone at The Beach House was SUPER nice! They took such great care of us. We sampled lots of great food. We all loved the presentation of the food. Look at those desserts on the wooden paddle. The drinks are really good too! Everything was delicious and you couldn't beat the view! Right on the beach! After some fun on the beach, we got cleaned up and hit up a few shops at Baytowne before dinner. 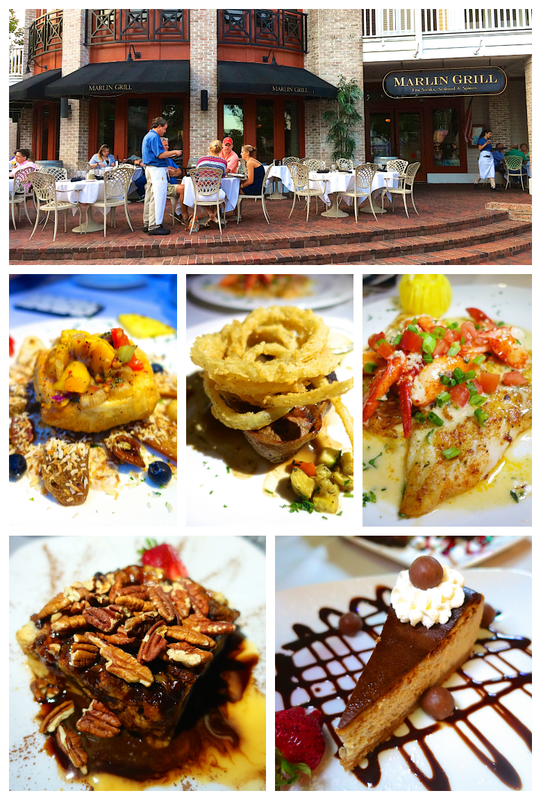 Dinner was at the Marlin Grill right in the heart of the Baytowne Village. The food was great! I got the steak and it was delicious. Even though we were all completely stuffed, we somehow managed to sample all of their desserts. 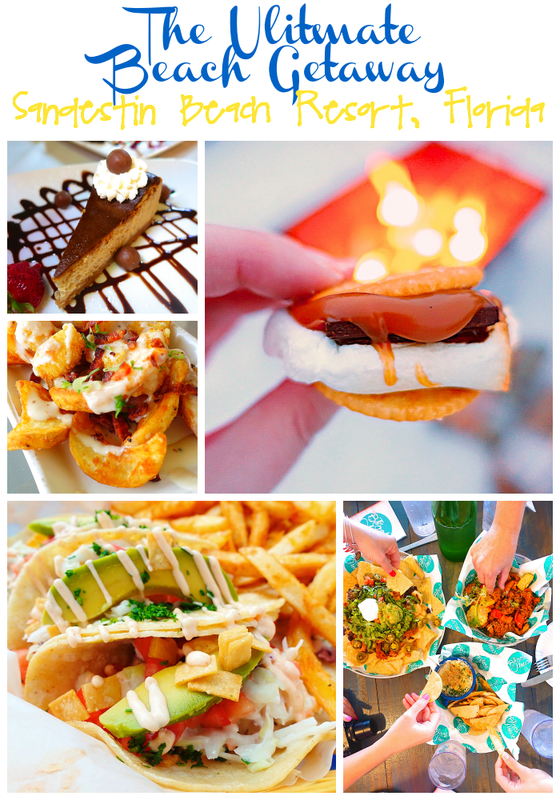 Make sure you save room for dessert - so good! 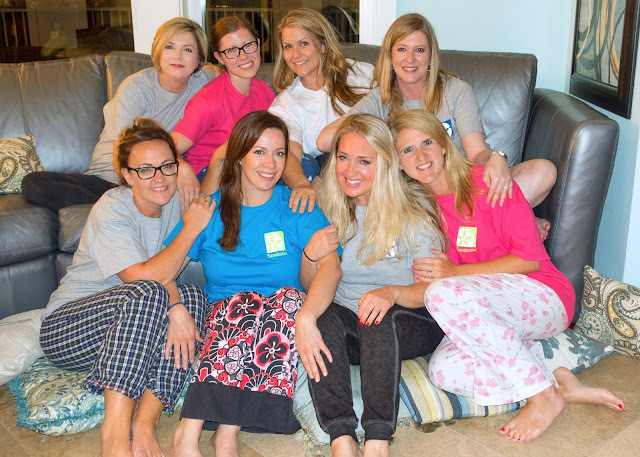 After dinner, we changed into our PJs and told ghost stories, and laughed for hours. 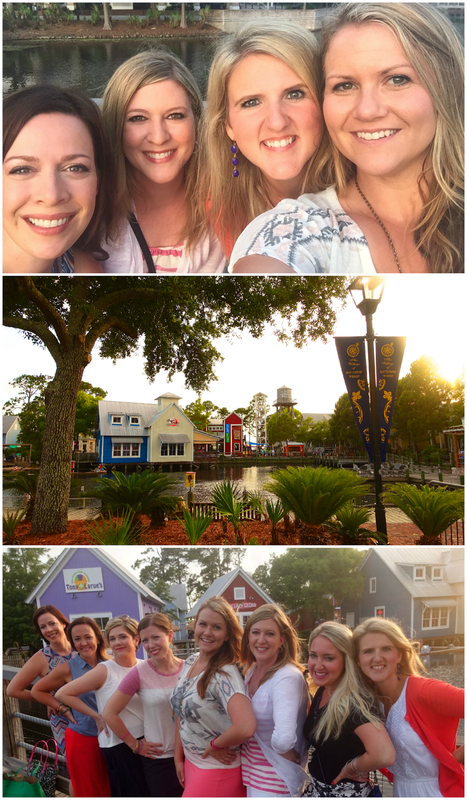 I had such a great time at the Sandestin Golf and Beach Resort with these ladies! I have never eaten or laughed so much in my life! I have to admit, I wasn't hungry for several days after this trip! Contest ends June 19, 2015. You may enter once per day. Winner will be notified by email. I would love a getaway especially now or soon as we get moved as this is really a strain on our body and mind. I'd love to ein! I haven't had a vacation since 2008 and haven't been to the Gulf Coast since August, 1992. It's time to go back!